Wow, that was fast. Just a few days ago we kicked off our annual Toys for Tots toy drive and we already have a donation. 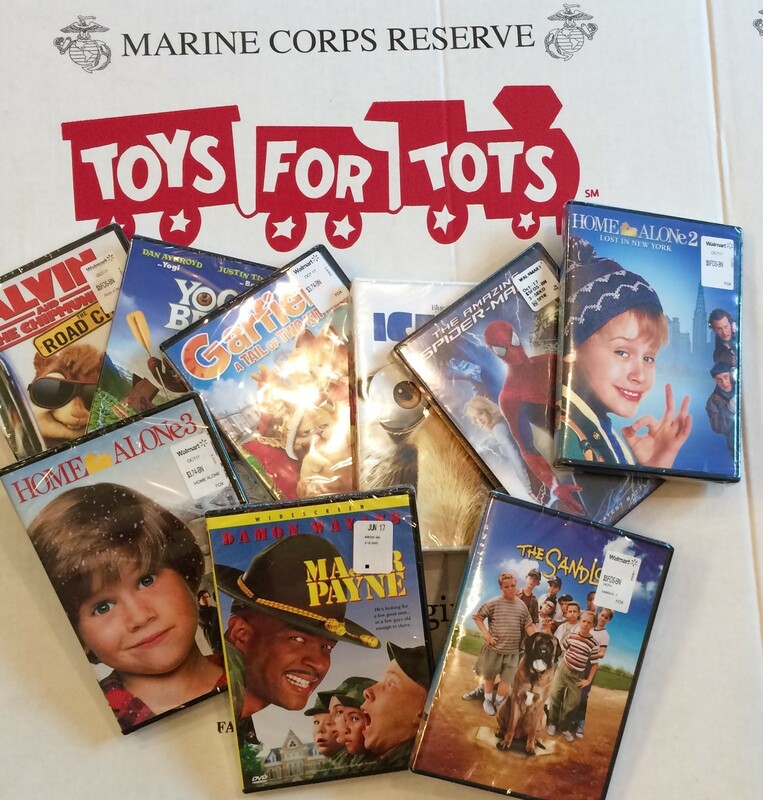 Thanks so much to our good friend Steve Cherry for dropping off this pile of movies for Toys for Tots! We’re on our way to our goal of 525 toys for the Marine Foundation Toys for Tots initiative. As always, we’re proud to be a part of this effort that helps kids find presents under the tree on Christmas morning. If you’d like to make a donation this year, please bring a new, unwrapped toy to our RE/MAX Legacy office located at 6692 S. State Road 67 in Pendleton. We’ll be collecting items through December 8th and we appreciate any and all donations. Thanks again to Steve Cherry for helping us collect another mountain of toys this year!